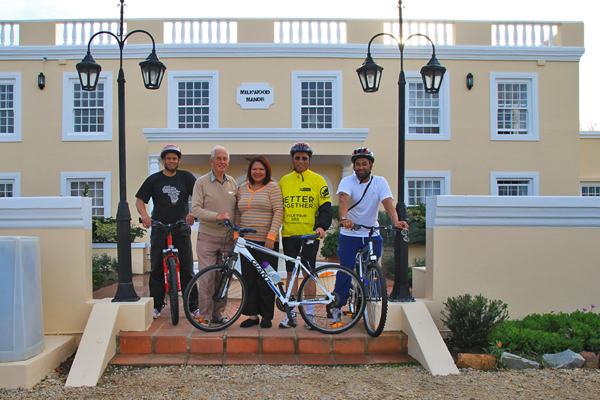 From Sunday, 17 June to Thursday, 21 June, Premier Helen Zille will be cycling with a group including provincial Cabinet Ministers, the Bicycle Empowerment Network, Cycling SA and some of their staff, some of whom work on projects like Shova Kalula and Safely Home, from Plettenberg Bay to Cape Town in stages. The aim of the Cycle Tour is to promote healthier life choices and to take the “Better Together” message out to residents of the province. “Better Together” is about opportunities and responsibilities. “We, as the government, have the duty to provide opportunities for citizens to improve their circumstances and empower themselves so they can live lives they value, while citizens have the responsibility to make use of those opportunities and make the effort to improve their lives and those of others,” says Ms. Zille. During the Cycle Tour, the group will stop in Knysna, George, Mossel Bay, Albertinia, Riversdale, Swellendam, Hermanus, Strand and Khayelitsha to take part in events where they will hand over more than a hundred bicycles to people to enable them to fulfil their responsibilities better. The bicycles and other equipment will be given to neighbourhood watches, chronic-medication dispensing units, farm-worker development programmes and schools. Milkwood Manor heartily supports this cause. We feel privileged to have received the news of this latest initiative first-hand from the Minister and wish him every success with an endeavour that will be of benefit to us all.